TUITION: We we hold a 6 week Pop Up Class after the free trial. $99 for the 6 weeks class, or $18 Drop In. A 6-week Intro to Bollywood. 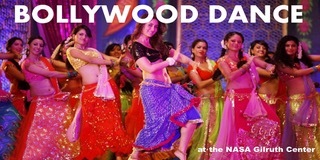 Package includes introduction to 4 different styles of dancing in Bollywood. A new dance style is taught every week from a selection of styles (Traditional, Folk, Contemporary, Western, Soft, Techno & International) from Bollywood. It can end in a small studio performance for parents to come and watch. She believes in spreading art as a means of education and happiness, which is the meaning and vision of her company IKIGAI—a Japanese term for a state of happiness where you do what you love and what the world needs.